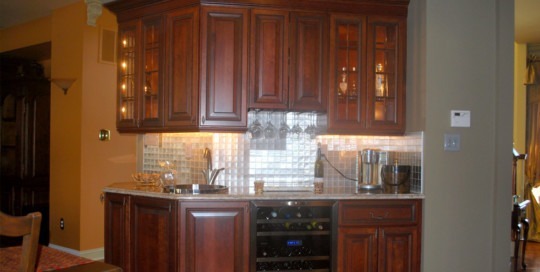 Candlelight Cabinetry, Nantucket Maple, Cherry Burgundy with Nutmeg Accent. 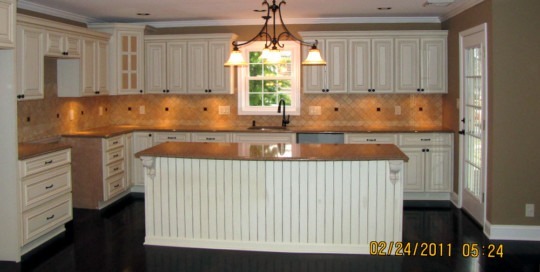 Jim Bishop Cabinetry, 3H Maple, Off White with Chocolate glaze. 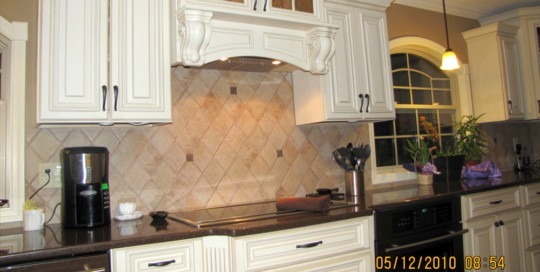 Countertops in Cambria Burton Brown. 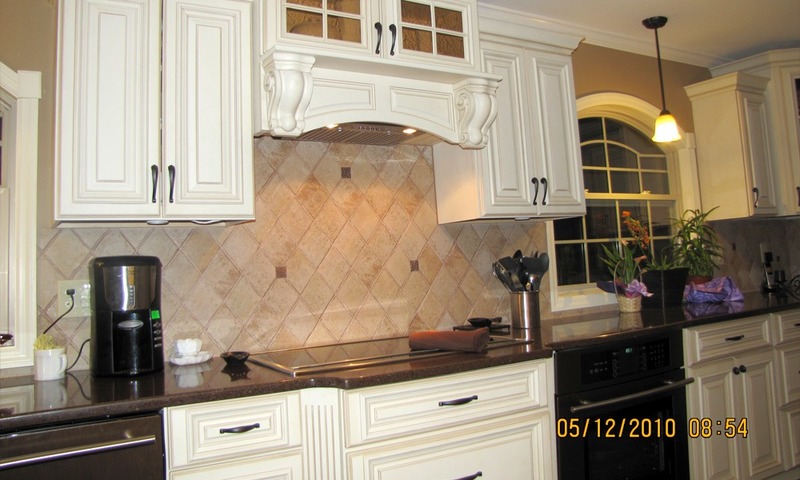 Jim Bishop Cabinetry, 1R Maple, Off White with Chocolate glaze. 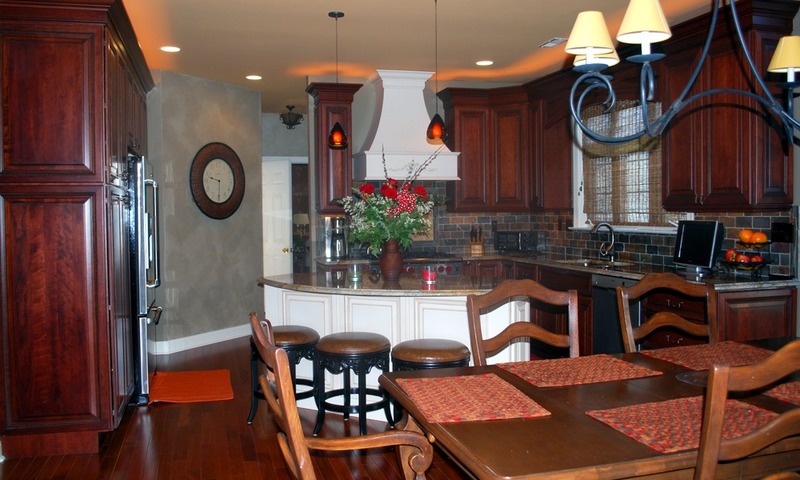 Countertops in Hanstone Maroon. 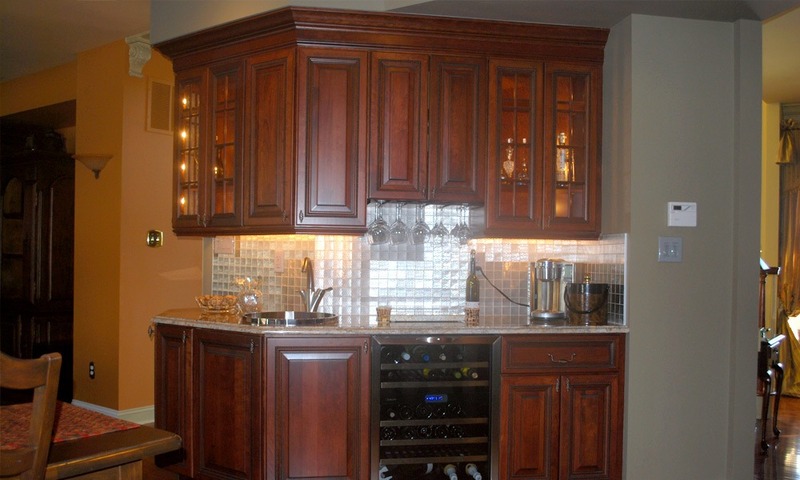 Candlelight Cabinetry Classic Arch Cherry, Terra Nova. 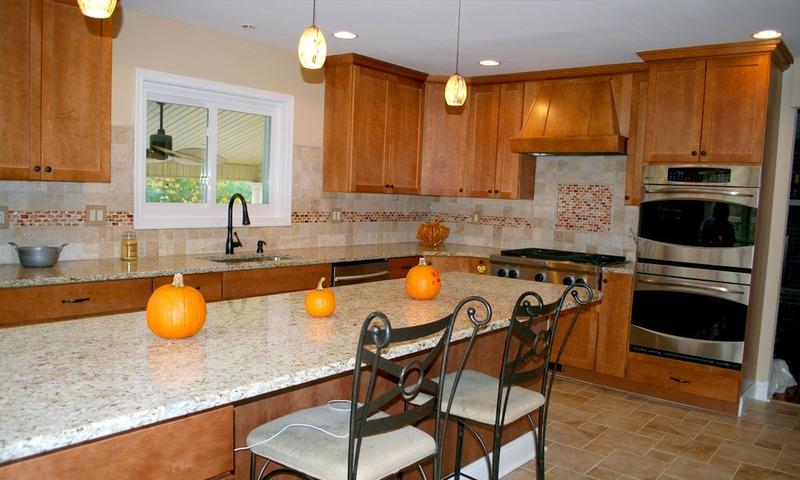 Countertops in Cambria Canterbury. 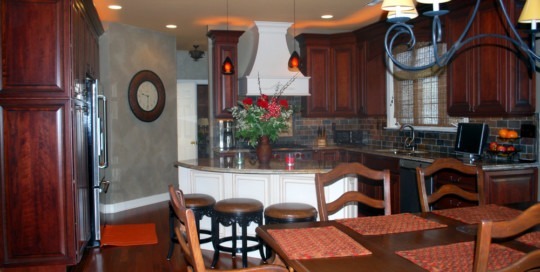 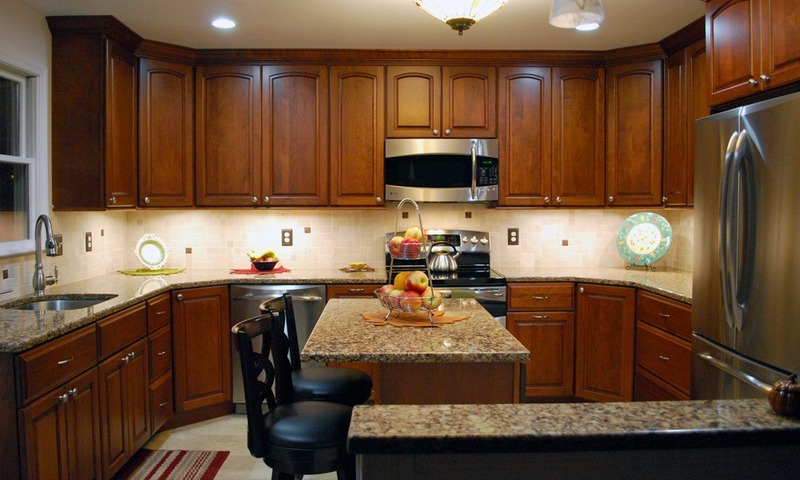 Candlelight Cabinetry Classic Cherry, Espresso. 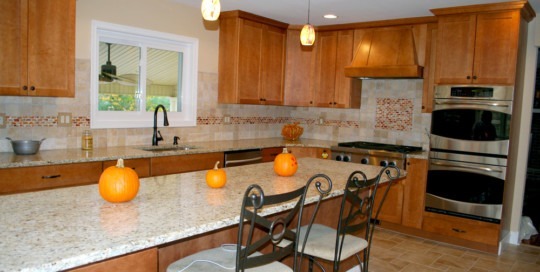 Countertops in Cambria Cuddington and Sutton. 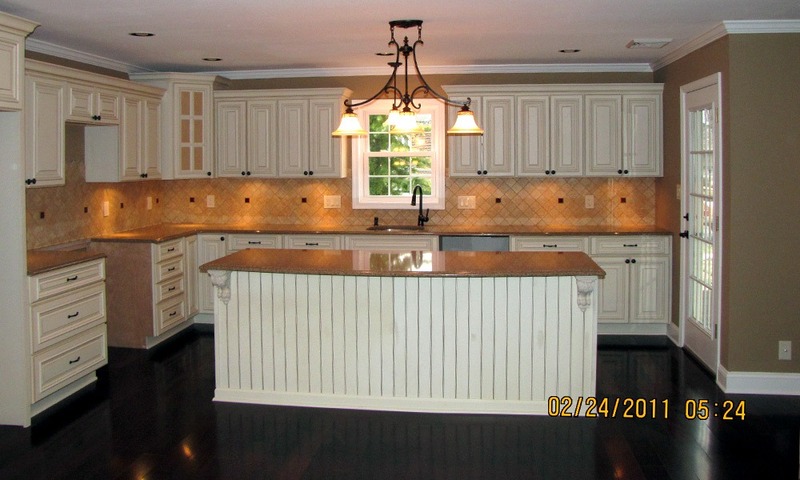 Candlelight Cabinetry, Nantucket Maple, Antique Victorian sand off. 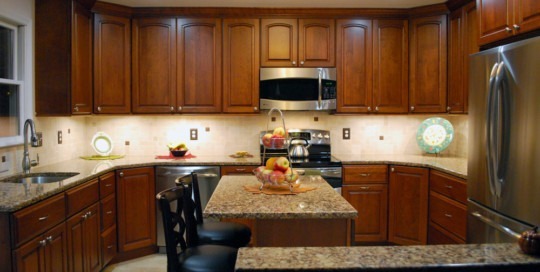 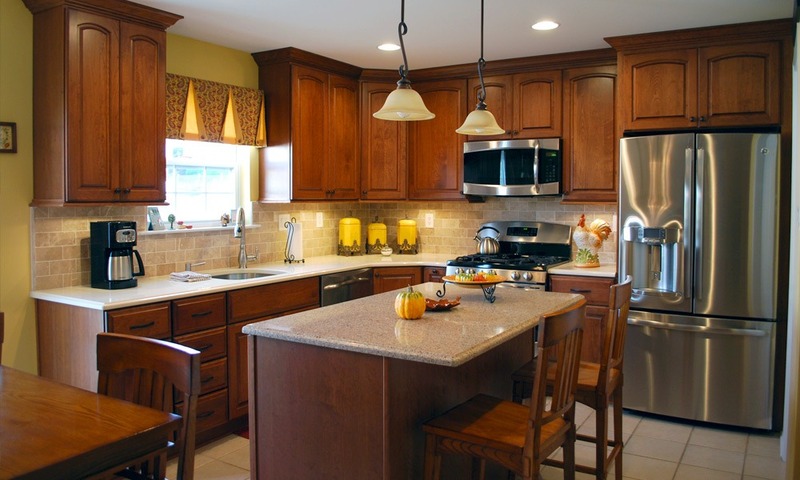 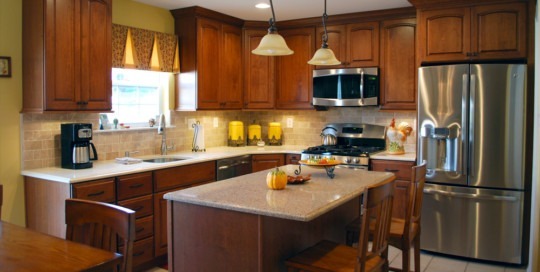 Yorktowne Cabinetry Simplicity Maple, Spice, countertops in granite Giallo Ornamental.